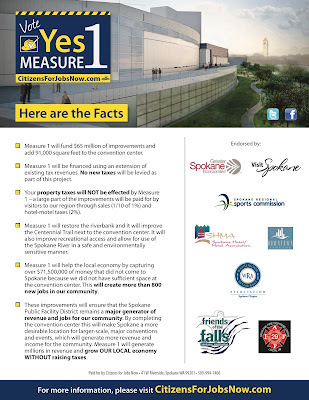 Please Vote YES on Measure One. 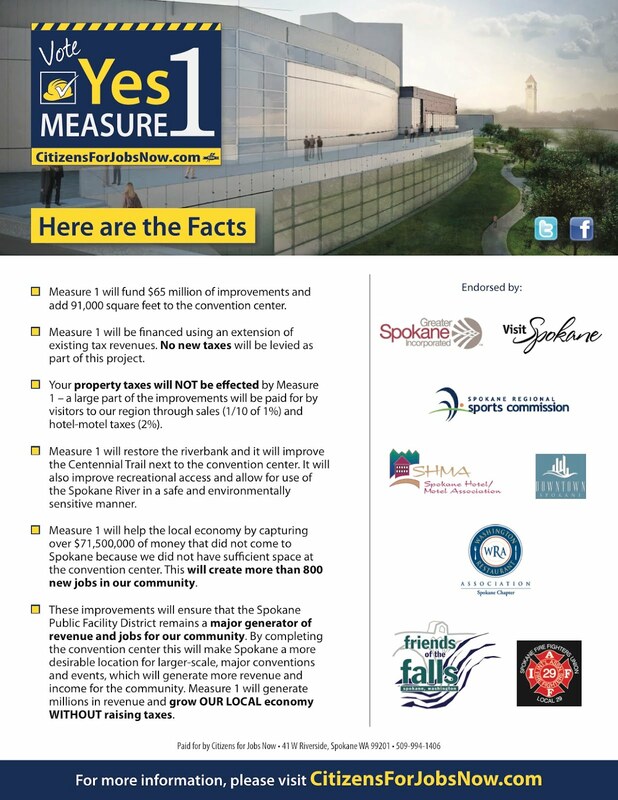 Click on the picture to learn more. On Sunday, March 18, 2012 at 5:30 PM, 6 Companies of Spokane Firefighters, 1 Senior Ladder, 1 Heavy Rescue, 4 Engines under the direction of Battalion Chiefs Jones and Green, responded to a Structure Fire at 2511 North Hamilton in Northeast Spokane. Spokane Firefighters arrived within two minutes from neighborhood Fire Station 2 to find smoke and heavy fire showing from the second floor of a two-story residence. The first arriving Chief upgraded the incident to a working fire and added an additional Senior Ladder to the scene Finding heavy fire in the upstairs living areas and the attic space, firefighters from the first to engine fought heavy fire and heat conditions up the stairwell to attack the fire; while simultaneously the first arriving Ladder from Station 2 vertically ventilated the roof. Additional companies commenced swift salvage operations to protect personal property by deploying tarpaulins within the structure on the first floor and basement while making judicious use of firefighting hose streams. The well coordinated effort of firefighters confined flames to primarily the structure's second floor and attic, extinguishing the blaze in just 2 hours. There were no injuries reported from either tenants or firefighters. The cause of the fire is under active investigation by the Fire Department's SIU. Though loss from the fire was limited predominately the second floor and first floor ceiling, the need to secure the building's utilities rendered all areas of the untenable. A total of seven residents were referred to the American Red Cross for interim placement assistance.